What a day! What a day! On the Random Wind boat, life is so much cooler! 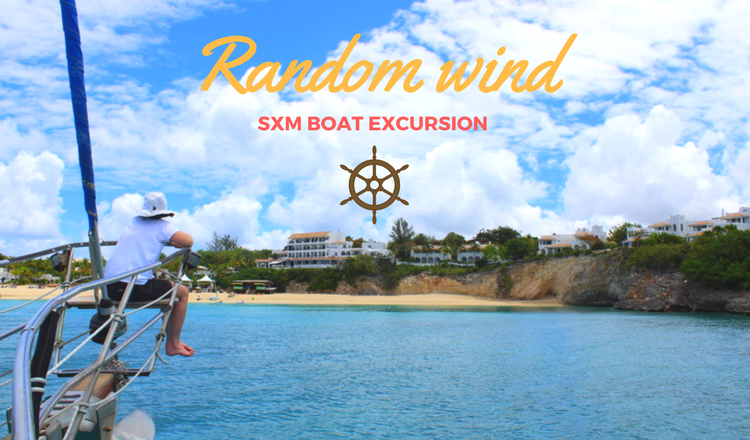 If you need to cut off from the busy and stressful world and refresh your mind with fun & relaxing moments, you must try the “Random Wind” boat excursion in St. Maarten. This is how our day went: before boarding, all the passengers met at Skipjack’s restaurant at 9:45 am. A friendly crew member came there to pick us up in a small zodiac boat in which we navigated about two minutes to reach the amazing sailing boat. Once on the boat, we were very excited. There were many comfortable seats all over the boat and all of them gave a wonderful view of the sea. 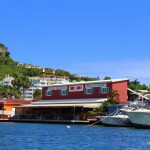 We departed from Simpson Bay and navigated towards the French side of the island. What a relaxing moment to just sit, chill, drink some cocktails and sodas, and feel the wind on our faces. 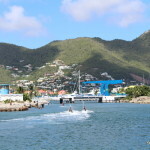 During our journey to the French side, we admired the other boats and the coasts of St. Maarten that offered various landscapes. 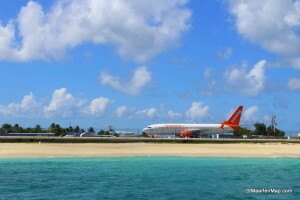 We could even watch planes take off and land on Princess Juliana airport, which began the fun. 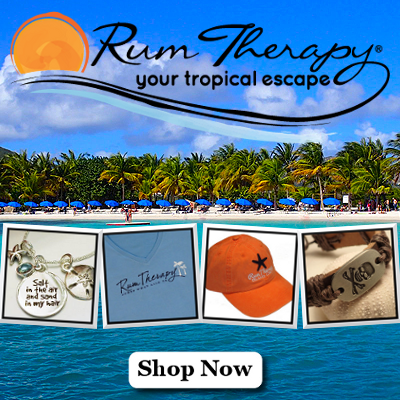 We soon arrived at an amazing spot on the French side in front of Long beach and Belmond La Samanna hotel. 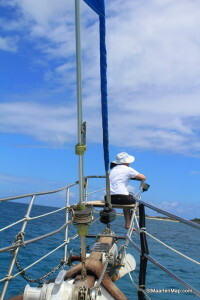 The view was paradisiac, and we understood why the excursion is called “Paradise Day Sail“! 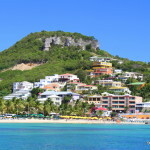 We could see the luxurious and tropical hotel Belmond La Samanna, the white sanded beach where a few people were relaxing or enjoying water activities and the clear, turquoise water surrounding the boat. 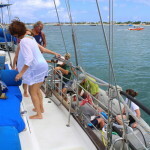 Then, we had some time to go in the water and snorkel with the materials the boat crew offered us. Whether we knew how to swim or not, we had to safely go in the water using the life jackets and noodles which were handed to us. The sea was calm and beautiful, and with the snorkeling mask and tuba on our faces, we admired the colorful fish and the beautiful seafloors. 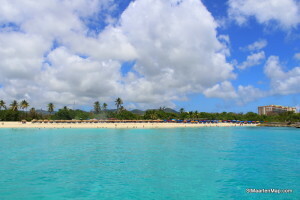 We were also advised to paddle-surf but the beauty of the seabed made us forget about it. The captain’s sea shell horn called us back on the boat right on time, because all the swimming opened our appetite. What a surprise! While we were enjoying ourselves in the water, Anna was preparing some amazing plates for us. As soon as we came back up on the boat and dried ourselves a little, we were served a delicious meal, including a delicious sweet ginger rice, a curry chicken, some vegetables and a tender piece of baguette. As for the most hungry, some delicious cookies were suggested. We would say that it was one of the most amazing views we ever had while eating. The boat turned back to the Dutch side of the island, and the navigation eased our digestion and helped us relax a little. 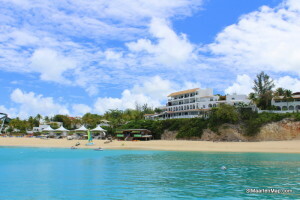 After a few minutes, we arrived in front of Mullet Bay Beach where we stopped and were offered the opportunity to use the boat trapeze to swing and jump into the swimming pool-like water. Most of us experienced the funny tool and what a laugh we had! It was a little impressive at first, but once we tried a second time, we wanted to do it again. It was not hard to jump into the water which, with the sun’s reflection, is unbelievably clear and turquoise blue. These moments would make a great memory in all of our minds, for sure! 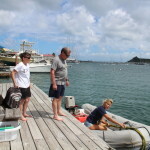 We now had to head back to our departure point, Simpson Bay. 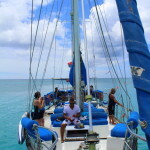 As the captain navigated the sailing boat, some of us were laying down on the beds located in the middle of the boat and watched the mass floating in the wind, while others were chatting and laughing about the great moments we just spent. But also, most of us experienced the “Titanic-moment” as a crew member said. One by one or two by two we went to the very front of the boat and had a safe seat on the wood-like step that gave us an amazing and adventurous experience (this is the best seat to feel the movement of the boat and the “random winds). We definitely know now why it was called the “titanic moment”. We passed again in front of the airport and this time, we saw big planes take off and land, which was amazing! We finally arrived our destination and were suggested to buy some local gifts of which the funds will be given to an association that feeds hungry kids on the island. 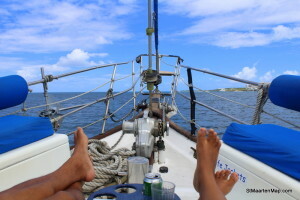 As we headed back to Skipjack’s restaurant on the zodiac, with a nice tan and a big smile on our faces. 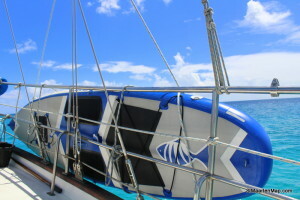 We can only say that the Random Wind boat excursion really is something to experience at least once in a lifetime. The company received “certificates of excellence” by Trip Advisor for 4 years in a row and in 2017, received the American’s Award for service excellence. 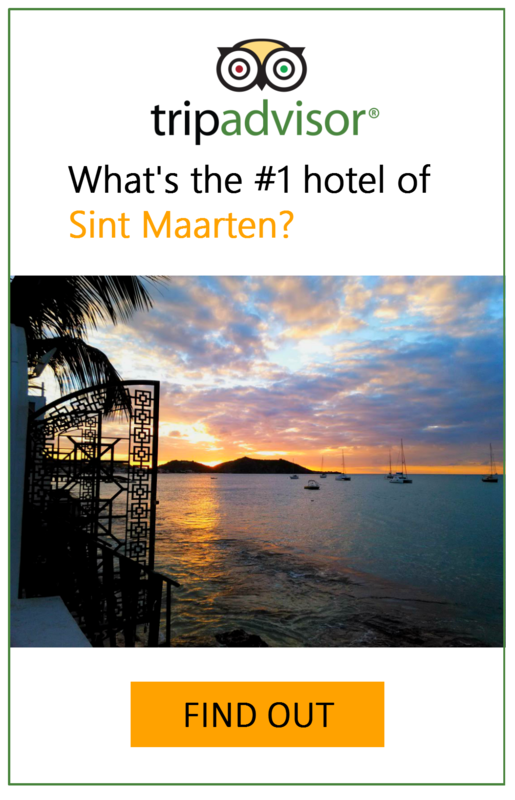 It is not hard to believe as we had experienced it, and read the numerous reviews on Trip Advisor. We encourage you to visit Random Wind website to learn more about the activities and the schedule. 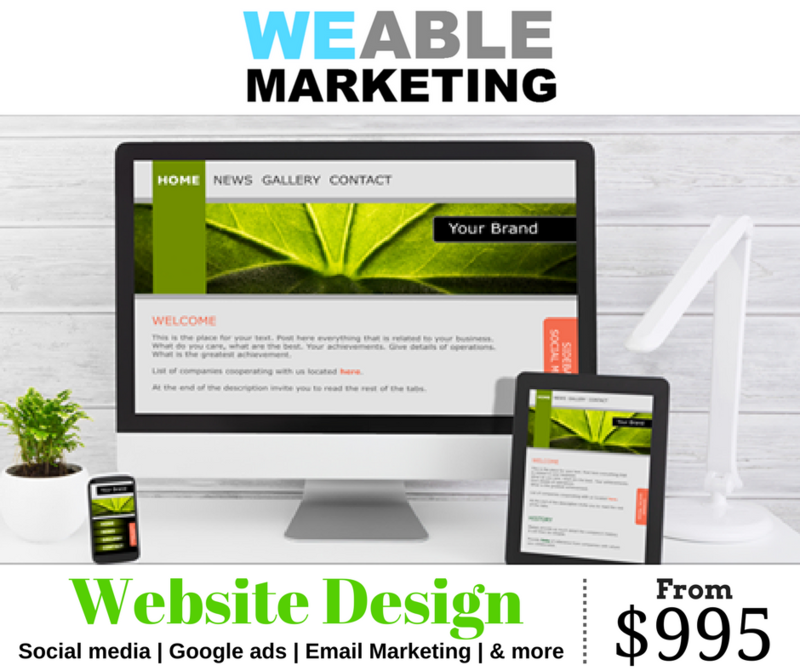 You are also welcome to email us or to leave a comment below if you have any question. Random Wind boat! So cozy! Great post! 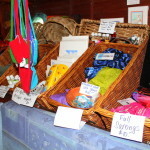 I was checking constantly at your blog and I love it! 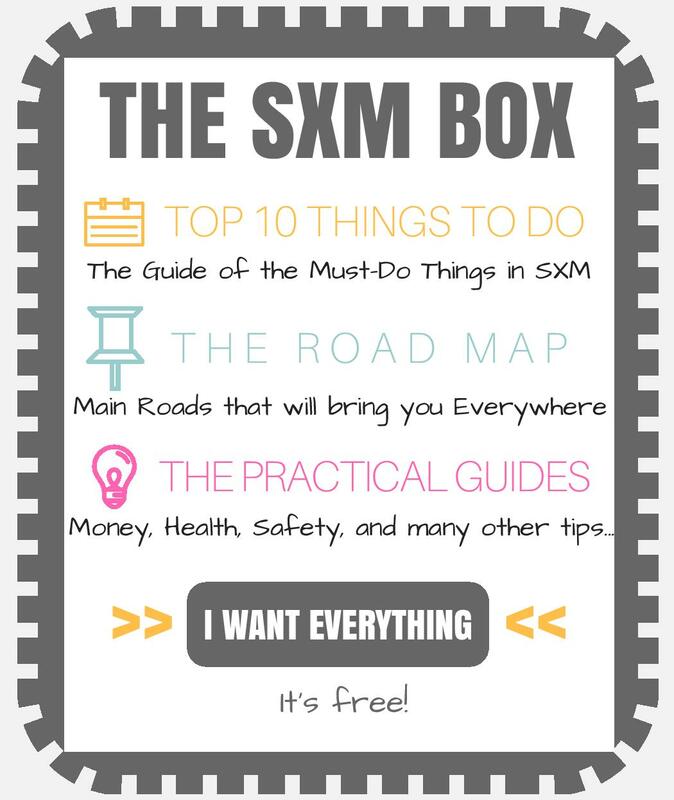 It is extremely helpful! 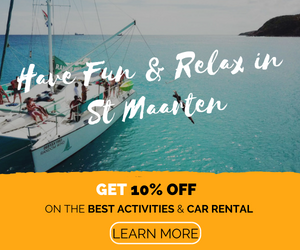 I was looking for a particular info about boat activities in St Maarten and I really want to try Random Wind with my family now that I know more about it. Will contact them soon! Thanks again.